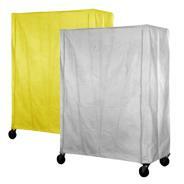 Disposable, Microporous cleanroom cart cover. Ideal for protecting sensitive products. Available in White or Yellow colour.